Today, Lise and Kolleen explore “Canto III The Opportunists” by Linda Johnson, submitted to Zoetic Press for NonBinary Review #19 Dante’s Inferno. I AM THE WAY FOR A SELF-CENTERED PEOPLE. SKEWED INTENTIONS MOVED MY ARCHITECT. AS ONE WITH WISDOM, INTELLECT AND LOVE. BUT THROUGH ME EXISTENCE IS IMMORTAL, ALL IS SAVED ETERNALLY. against all cowardice, against all inhibitions. overwhelming me to tears of confusion and horror. voices shrill and faint, without filter. throughout the whole of the space. but were truly faithful only to themselves. and the depths of Hell will not receive them in their arrogance. with such intent anger and pain? and for them, death is unattainable. Therefore, they have no hope of final escape. They are but a mere fraction of a byte, forgotten in an infinite cloud. moving at immeasurable broad bands of speed per second. for each one’s name and profile were written upon it. The great number of views was incomprehensible to my mind. blowing this way and that way with the latest trend of the moment. of public rejection that swarm them constantly. Despite all their efforts, the stingers strike relentlessly. streaking their selfie faces with blood and pus. that make up the ground upon which they run. safety and defense from the very trolls they feed. believing they deserve all affirmation and attention. their infinite suffering and pain poured out in tweets, replies and comments. To me he replies, “They sought only self-satisfaction in life, never choosing good or evil. Therefore, they attain only self-dissatisfaction after life, which is neither good nor evil. Mental and physical pain that can never be relieved. and logged off, into a deep sleep. 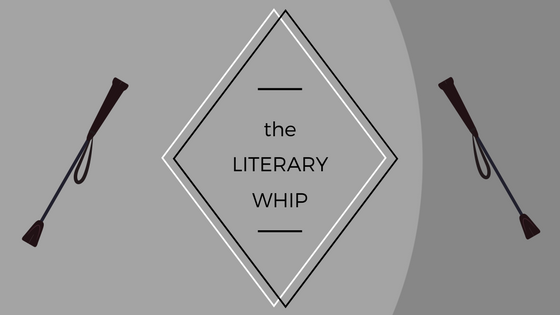 The Literary Whip is a production of Zoetic Press. Our theme music is “Fake Turkish Coup” by Gospel of Mars. Our voice of Truman Capote is Nate Maxson. Like us on Facebook!